Hey, Blue Jays fans! We're pumped that you all showed up to cheer on your team. 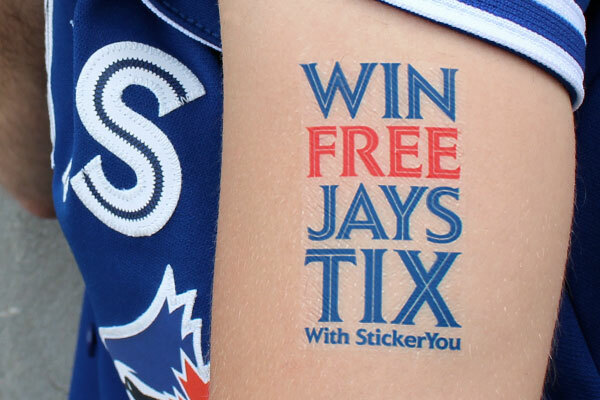 Show your support and get ready for the game with your Jays Custom Temporary Tattoos! We'll choose one awesome participant to win FREE tickets to another game! 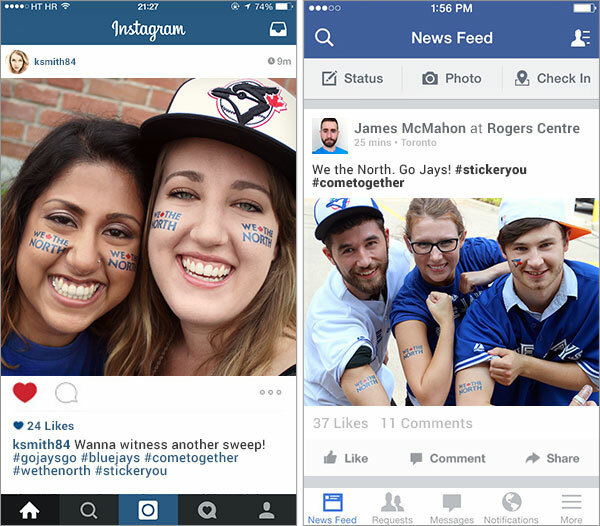 Snap a pic of your temporary tattoo OR one of our street decals located on the ground outside the Rogers Centre. Enjoy the game! StickerYou will draw and contact the winner night of September 21st, 2015 to receive a pair of tickets to another 2015 regular season game. StickerYou's Temporary Tattoos use non-toxic inks and are FDA approved. Temporary Tattoos will last 2-3 days without rubbing. To remove, apply baby oil or soap to temporary tattoo surface and gently rub away with a cloth.